I don’t have a recipe for you, because today I’m eating cheese sticks. 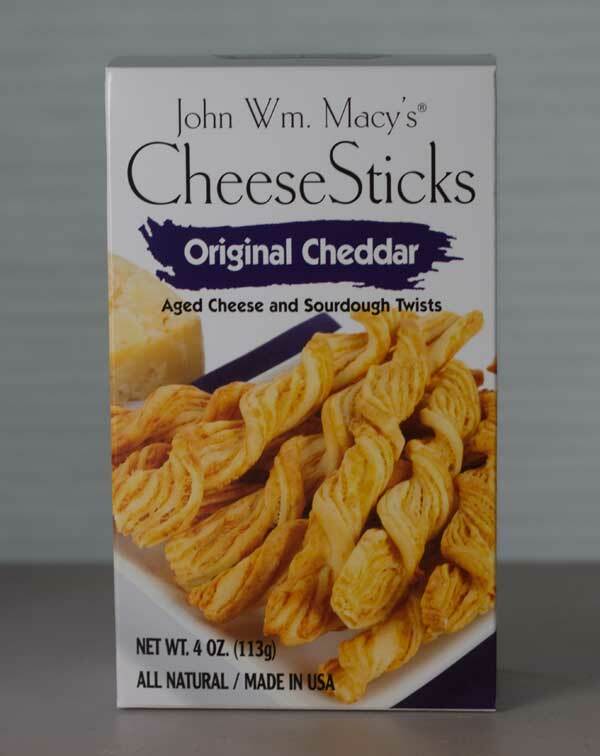 Or in this case, “CheeseSticks” which is what John Wm. Macy called them when he first started making them right out of college. If you run across these at Costco, Whole Foods or any of these other stores, consider the story of how they came to be. Like most people who are paid to do something bankable while they pursue their passion on the side, John Wm. Macy devoted his off-time to baking. During the early 1980s he worked full-time at a non-profit, but took one day a week to bake and sell CheeseSticks out of his New York loft. Which is not to say baking the sticks was a new endeavor. Macy had been perfecting the recipe for his hand-twisted, sourdough and butter flavored CheeseSticks for over 10 years and selling them at carnivals and state fairs. It wasn’t until 1985 that he was able to open a 600-square-foot storefront on Manhattan’s Lower East Side. The famous New York grocery store, Balducci’s, made a big order, and the company just kept growing. Today they are located in Northern New Jersey and producing over 50,000 pounds of CheeseSticks a week! 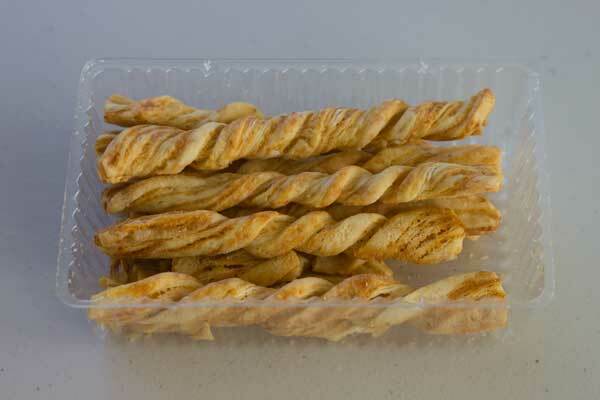 Now with 50,000 CheeseSticks coming off the line, you might expect some new flavors. Original Cheddar is still the company’s bestseller, but they now have Dijon Swiss, Smoked Jalapeno, Melting Parmesan and many other savory flavors. 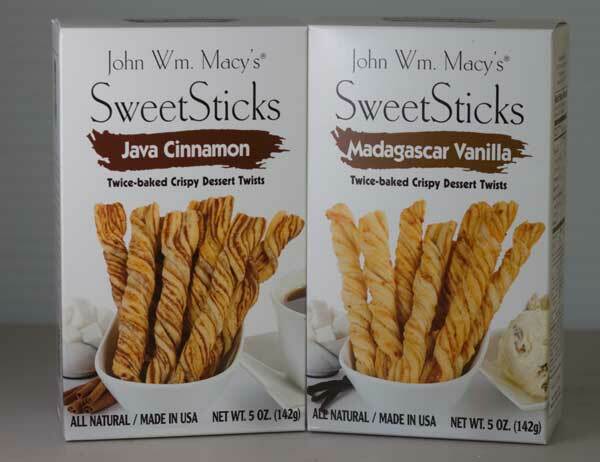 In addition, there are “SweetSticks” which come in Dutch Chocolate, Madagascar Vanilla and Java Cinnamon. I honestly wasn’t sure I’d care for the SweetSticks considering the combined sweet flavors with Monterey Jack, but they ended up being my favorite. The Jack was barely detectable, and if anything, it added a slight tang at the end not unlike cream cheese. 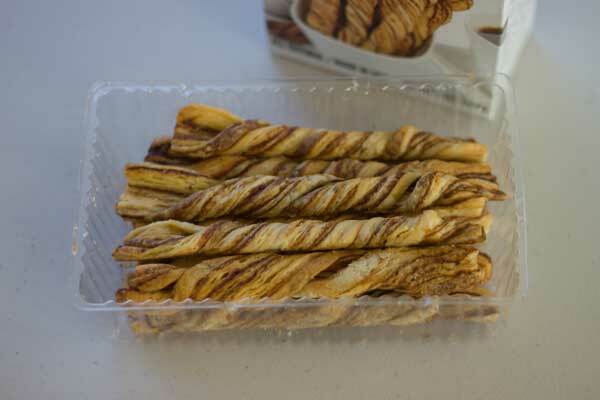 I loved the Madagascar Vanilla flavored sticks as well, but didn’t get a chance to try the Dutch Chocolate, which apparently can be used as a base for Tiramisu. The Macy’s site has a recipe collection. But that’s not all! They also have a handy guide to pairing CheeseSticks with wine. Are your CheeseSticks Garlic Romano? Pull out a bottle of Valpolicella. Smoked Jalapeno? Time for Shiraz! I’m suddenly in the mood for some CheeseSticks now. If you’ve tried them, let me know what you think. I love that there are suggested wine pairings. I’ll have to find out if any stores in my area have them. Gloria, they have lots of interesting ideas in their recipe collection, but I think I’d prefer to eat them straight. Stephanie, look for the Java Cinnamon. I’ve had the cheese crisps and they are delicious! I will have to look for the cheesesticks and the sweet versions. I’m in the mood for cheese sticks too after eating too much home-made ice cream. I love sourdough bread so the cheddar sticks sound delicious. I’ll bet you could throw them in a food processor with some butter and make a quiche crust….creativity is your dept. and best left to you!